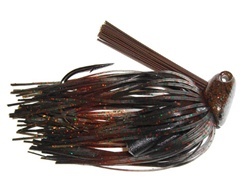 * The streamlined design of the molded line tie allows this bait to be flipped in and pulled through the thickest structure. * The Stay-On skirt keeper will help your high quality silicone skirt stay in place as the pointed bait keeper will secure soft plastic trailers. Another added feature of the Stay-On Skirt keeper is that the silicone skirt can be removed to slide on your favorite tube or creature bait with a secure hold. * The double rattle chamber can be removed if needed. * Our multi color chip resistant finishes and clear coat are only of the highest quality. 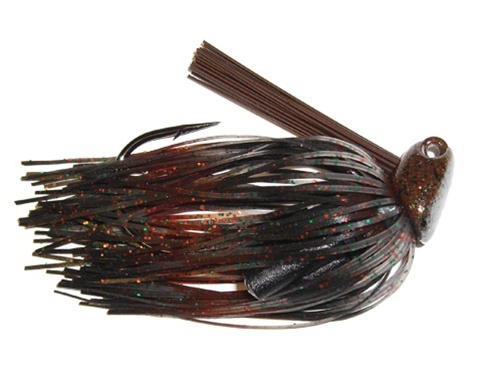 Tie on a Revenge Flip Jig and say hello to many more bites.